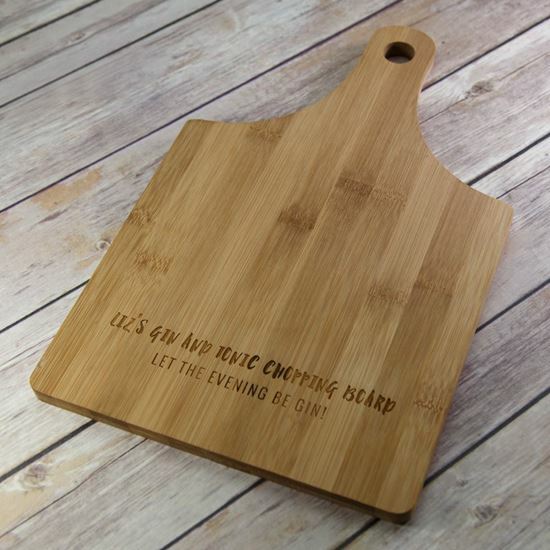 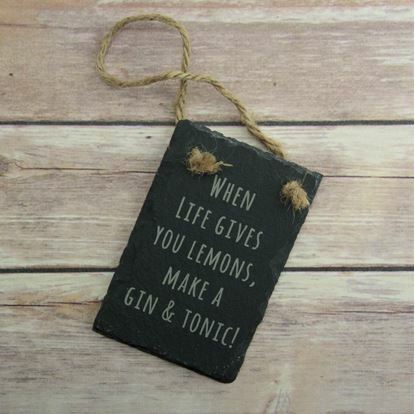 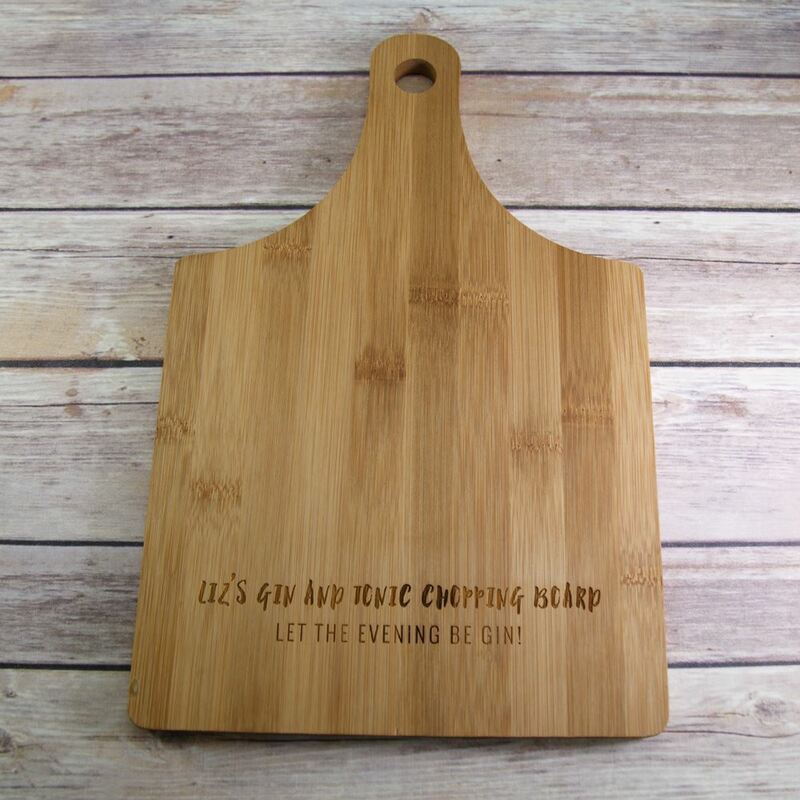 A fun Gin themed chopping board which makes a great addition to any Gin lovers kitchen! 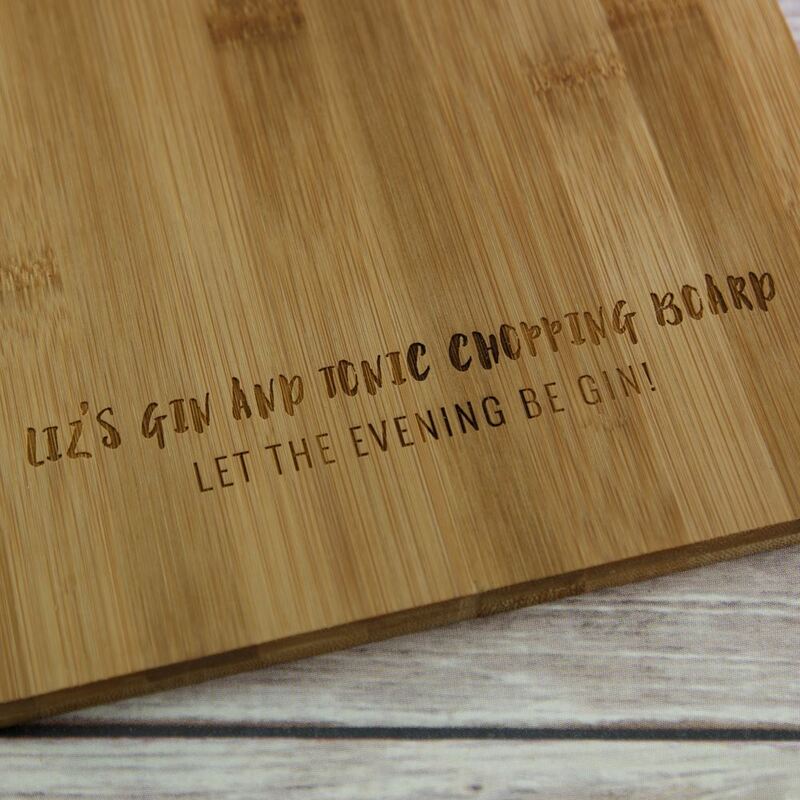 The perfect chopping board for Gin lovers, whether it's preparing dinner with a G&T in hand or for chopping up lemons and limes for your favourite drink. The board is personalised with the name of the owner and the slogan "Let the evening be Gin". 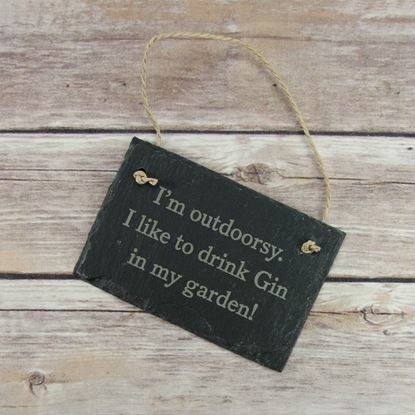 Please enter the name exactly as you would like it to appear.